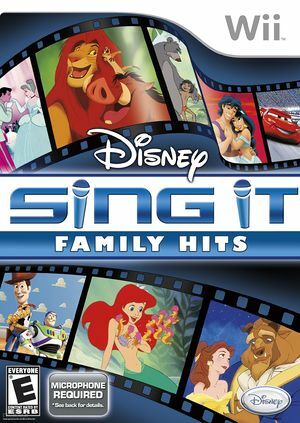 Tapping into both the past and the present, Disney Sing It: Family Hits features favorite songs from all-time classic Disney films, including Cinderella, Sleeping Beauty, Mary Poppins and The Jungle Book, as well as contemporary favorites from films like Disney-Pixar's Toy Story and Cars, The Lion King, Aladdin, The Little Mermaid, The Princess and The Frog, and more. Further immersing players in the moment, the easy to follow karaoke gameplay is accompanied by full screen HD videos featuring montages, as well as original footage from each of the Disney movies. The graph below charts the compatibility with Disney Sing It: Family Hits since Dolphin's 2.0 release, listing revisions only where a compatibility change occurred.